Merry Christmas to everyone! When I found out that Carol Grannick won second place in our flash fiction contest, I was thrilled. I know Carol from my days living in Illinois because we were both members of the wonderfully supportive SCBWI Illinois chapter. Then when I was assigned to interview her, I was even more excited. If you haven't read Carol's story that won second place, then read "Secondly" here. One other note, Carol writes a lot in the genre of children's and YA--her winning story reads very much like one perfect for teens. So, remember this when you are deciding whether or not to enter our flash fiction contest. We take all genres--we are wide open! Carol is a writer and clinical social worker, who writes poetry, picture books, and middle grade/young adult fiction, as well as personal essays. She lives in the Chicagoland area and has been an active member of the Society for Children’s Book Writers and Illustrators for over a decade. Several of her picture book manuscripts have won national awards, and her children’s fiction has appeared in Crickets and Highlights for Children. Her articles and essays have been published in national media as well as on WBEZ, Chicago Public Radio. Her new blog, http://TodayIAmAWriter.blogspot.com, helps keep her on track, and her regular column for the Illinois-SCBWI newsletter, Prairie Wind, explores many aspects of the writer’s psychological and emotional journey. WOW: Welcome to The Muffin, Carol, and Merry Christmas! Let's start with talking about your second place contest win for your story, "Secondly." What inspired you to write this story? Carol: I began writing from a seed of authenticity that veered quickly into fiction. The most important lesson I keep learning about my own writing is that when I can connect with a feeling that is authentic, even if that emotional experience is not "true" in the nonfiction sense, I find a powerful voice. If I can do that--and for me it's not easy--everything flows from that. The voice, the deep inside of my narrator, will help me determine the words I choose, the format, the length. WOW: We are glad you found that "powerful voice" in this piece. So, what are the themes you are exploring in this short, but powerful, piece? Carol: I think I wanted, unconsciously, to pose a moral dilemma for a character who feels victimized, then suddenly has the tables turned on her. During revision, I recall deciding that I would have her fail at taking the high road. Doing that left me thinking, wondering, seeing both sides. I felt it was a strong way to leave the reader thinking, also. WOW: I think that's what makes your story stand out--we expect characters to take the "high road." Then when they don't, we are like, "WOW! I wonder what I would have done?" It gives the reader more to think about, in my opinion. We've known each other for a while through our SCBWI-IL connection. This story seems like it's targeted for young adults. Would you agree? Are there a lot of publication opportunities for short fiction for the YA market? Carol: I do agree, Margo, absolutely. I'd say [ages] 13 to 17. I would love to see more markets for short fiction for young adults, but other than CICADA, and a number of wonderful anthologies with stories from somewhat to fairly well-known authors and illustrators, I'm not aware of potential markets. WOW: I agree with you--as you and I discussed during this interview process--we need more YA short fiction. Hmmm. It's food for thought. (smiles) Why did you decide to enter WOW! 's contest? Carol: I jumped at the chance to submit it to the WOW Summer Flash Fiction Contest because of the reasons above. My story had been sitting in a computer file, and the contest seemed to be a good match! WOW: Yes, our contest is a potential market basically because if you win, you get prizes AND a publication! You are also a clinical social worker (your day job). Does this job play a part in what you choose to write for children? Or do you try to keep writing and day job separate? Carol: I've been a clinical social worker in organizations and in private practice for decades; and other than a few short essays about people who are no longer in this world, whose names are never used, I do not use content from my therapeutic work. That sharing is confidential, and I've never breached those ethics. That said, I believe everything in life is interconnected. I neither see my therapeutic work as "separate" nor as automatic subject matter. The concerns that show in my writing are about my life concerns, whether that's ethical issues, body image issues (which has been a professional focus), the nature of facing down fears, or anything else. WOW: You also have a regular column for the SCBWI-IL newsletter and a blog. How do you fit everything into your busy schedule? Carol: I go out of my way to avoid negative stress. I wake and write very early in the morning; then there's non-writing work time; time to move my body; time for errands, participating in my community and politics; and more time to write and now explore illustrating my own picture books. I do well with a fairly planned schedule, which includes unscheduled time to relax with a book or my husband and/or friends. I'm not "crazy-busy," and I love time alone, as well as time with others. My blog is a simple commentary to keep me on track as I focus on my writing, and my column for the PRAIRIE WIND, the Illinois-SCBWI newsletter takes a lot of time, but it's periodic--and it helps me focus where I'm at as a writer. If I do happen to get too busy, I'll feel overwhelmed, take note of it, and remember Anne Lamott's BIRD BY BIRD. Then I just pick one thing to do. WOW: That sounds like a wonderful way to go about it. I completely agree that having a schedule helps you to fit more into your life, but you do have to give yourself time to relax and permission to change the schedule if need be. Thank you so much for your time today, Carol. Anything else you'd like to add? Carol: Many thanks to you, Margo, for the interview, and to WOW! Women On Writing, for the great work they do and the ongoing opportunities they provide for us! 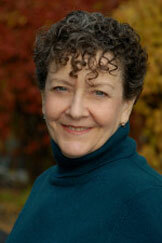 Margo L. Dill is a children's writer, blogger, online instructor, and editor. Visit her website here.